Enzo is a 2009, 16.2h, KWPN gelding. He was recently imported and started late, but learns very quickly and likes his job. 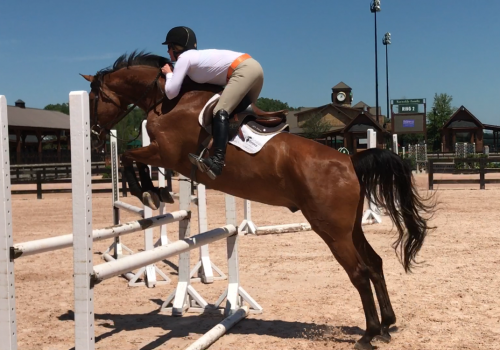 He is a natural hunter with his quiet, soft way of going and very scopey jump. He is brave with a huge stride and beautiful technique. Just went to his first show and ended up reserve champion!